Hugo Boss Nuit Pour Femme begins with a sparkling opening of white peach and aldehydes, which creates an intensely feminine aura. These are lavishly layered over a luscious heart of jasmine, white flowers and powdery violet that creates a sense of inviting femininity. 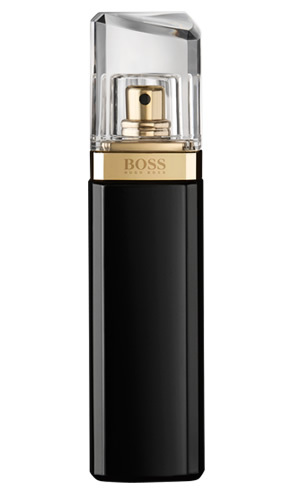 The base of Hugo Boss Nuit Pour Femme rests on a perfectly balanced base of crystal moss and sandalwood. Hugo Boss Nuit Pour Femme Body Lotion richly layers the skin in moisture and perfume. Feminine floral chords and fresh head notes combine with a warm base to form a modern composition brimming with simple elegance. Hugo Boss Nuit bewitches the senses with white peach, heady jasmine notes and sensuous sandalwood. 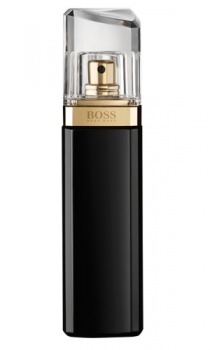 Hugo Boss Nuit fragrance bewitches the senses with white peach, heady jasmine notes and sensuous sandalwood.